I have followed the progress of smart.fm since it was originally called "iKnow.jp". I would like to argue here, from a logical and bunkersofist standpoint, that there is nothing exciting in the current version of smart.fm and that it will predictably fail to be a standard for its lack of usefulness, simplicity and coolness. My only purpose here is to evaluate the meme constituted by "smart.fm" from a personal perspective. It is not at all to bump off the diligent team behind it. One of the greatest properties of the Internet is that, once something is on the web, it is potentially for everybody. With smart.fm, this "something" is supposed to be a list of items (chunks of knowledge?). But, is a list of items (made for learning purposes) something you want to spontaneously share? → I do not think that sharing a list of items is a powerful meme because, when you have bothered building a learning list of items just for your own learning and training purposes, you want to hold it only for yourself. Can Learning be reduced to memorizing a list of items? → I do not think so. If smart.fm can do something, it is only that it might help you memorize a list of items. So instead of the current catch phrase, I find that "smart.fm, the place - you go to memorize?" would be more appropriate, if any. 3) On the principle that smart.fm is supposed to be based on. "proven learning principles combined with web technology to improve the way we learn"
→ But exactly which principles? "you can learn more quickly and remember longer", "spaced rehearsal over increased period of time, "optimal moment of review exists"
→ Is Learning only about remembering,repeating and reviewing? "optimal moment before you are likely to forget it"
→ Is that the core principle? "evaluating what we know and what we don't know is notoriously difficult"
→ What does this sentence mean? "people don't spent the right amount of time on the things they need most to review"
→ I agree on that. "where you learn something, you want to really know it"
→ The meaning is not clear. "smart.fm, your adaptive learning platform"
→ Is that why it is called "smart"? I believe that Reality is by essence complex. My question is: what is the simple underlying (but powerful) principle that smart.fm discovered and is based on? → I think that in fact, there is none. - Why using a ".fm" domain name? This has nothing to do with a radio. I hypothesize that smart.fm has wanted to be naively associated with the success of "last.fm"
* use of the first letter of the product's name as favicon. What to choose between Iknow, brainspeed, dictation, items, sentences, journals, goodies, partner series, search lists, showcase lists, SNS functions etc...? I am confused and lost because smart.fm seems to mix many features of other services without having its own identity. → I don't know. That is too complex for my understanding. Remember: Less is More and More is Less. I heard that in total, the project has got way more than $10M in funding...! From a logical standpoint, I do not think that rough and noisy "ads" is the proper way to monetize for this category of learning websites. → When you learn, you may not well want to click on ads when you are studying seriously. As a conclusion, I am very doubtful about the viability of the meme "smart.fm". As a matter of fact, in order to be successful, a product does not have to be better, but just a powerful meme. What smart.fm does is unclear; thus, the human brain is confused. The service has no simple and powerful principle; thus the service cannot be a fertile substrate on which you can build something richer and from which technology can evolve. I predict the service will be made obsolete within 1 year to 2 years. For example, just adding a function of subtitling (with text selectable) on YouTube would allow viewers to learn foreign languages with TV shows they like or personalities they love. I believe that this alone blows away already the current platform of smart.fm . As a matter of fact, (and that is a simple statement but very powerful) LEARNING is all about IMITATION. Imitating from other people. And this process is all the more efficient that you imitate people you like, e.g. singers. *it has too many flaws. *it is based on a wrong assumption, namely "LEARNING is MEMORIZING chunks of knowledge"
As a result, I really doubt that I can get smarter at smart.fm. - sharing a list of items is not a problem assuming that people are altruistic and generally speaking they are. - instead of calling it a place for learning, I definitively agree that it should be called a place for memorizing and I would say memorizing single items. It is not a good thing to pretend to do something that you do not provide...it s a marketing fallacy, I believe. - I totally agree on the fact that learning is imitating not remembering. yes, i will be glad to formalize that. Nice article. I am agree that the only underlaying principle i understood, that is "leaning = memorizing", is questionable for us foreigner. But this is the japanese way of teaching or learning. And according to my past experience in the e-learning field, all the specialists in learning/teaching science were agree on the fact that the learning = memorizing principle is an old and non efficient principle. however they were less agree about learning = imitating or understanding ? In my point of view, it's both; you start imititating, like a child mimic is parent and later on, when you are familiar with a concept, you understood it, you start developing your own style. And that would have been great achievement as learning plateform principal/ base algorithm: Be able to define automatically when the assimilation phase (imitation) is finished and when start the validation, reinforcement phase (understanding). I would also say that i way more impressed by lang-8 that is technologically not advanced at all but the base principle is great; exchanging knowledge. I agree with paskalamonik on the notion of sharing. Come in, do you know the open source community or web 2.0? if some people can be altruist enough to share a complet OS kernel or their playlists, there is no doubt some will share a hundred words long list. On the notion of learning, there are areas where remembering a list of item is a huge part of the learning process. To my mind, to learn a language you have to spend a lot of time just trying to remember words (or damned kanjis !!). however it's true that is can be simplistic to see learning as memorizing. on the following topics, it's amazing that they managed to get funding for 10M$ when doing a copycat of hype things for UI, and not being able to explain the vision of the service simply. Yep I agree, the valuation is way to high ! Pretty much agree with you on this although I think remembering can be learning. The way they do it as proposed by superMemo is as well a proven way to mangage a huge flash card list. Remembering words is one of several things needed when learning a language. BUT 10M$ is far beyond the value I think they should need... but I heard their burn-rate is pretty high (not very surprising since their office is in a super expensive location). This tells us though that there are people out there, at this moment, virtually giving money to start-ups. That gives us hope. An excellent piece of analysis. We need far more from you. Nobody else seems to be even attempting to analyze "new" products in this level of detail. Many, many thanks. Is an [list of items] a good meme, that can easily spread form one brain to another? Remember: there are way much more memes that there are brains out there; only the most powerful memes will spread and survive. It does not prove anything but a simple example to get intuitively the idea: consider one moment how many chinese children manage to learn naturally Chinese language without memorizing artificially anything and without knowing even how to write/read. "A screwdriver is a control interface because if I am screwing in a screw and I turn the handle clockwise, I expect the screw to want to go in. If the screw is reverse threaded, it will want to come out instead, confusing me dreadfully. Fortunately, this mapping is not random; it is predictable." "Briefly, intelligent user interfaces should be limited to applications in which the user does not expect to control the behavior of the product. If the product is used as a tool, its interface should be as unintelligent as possible. Stupid is predictable; predictable is learnable; learnable is usable"
"If the user has an affordance by which to tell the algorithm the purpose or category of her search, the whole problem of guessing which application to direct the query to disappears and is solved perfectly. A whole class of category errors ceases to exist." "My guess is that if there is any "next thing" in search interfaces, it will come not from smarter UIs, but from dumber ones in which the user does more work - the Graffiti effect. If a small quantity of user effort can produce a substantial improvement in user experience (which is a big if), the user will accept the bargain. Hey, it made Jeff Hawkins rich." Intuitively, remembering is of course part of the process of learning since you have to do save data somewhere in your brain to "learn"
We will for sure keep on criticizing memes and produce plenty other analysis! "For example, just adding a function of subtitling (with text selectable) on YouTube would allow viewers to learn foreign languages with TV shows they like or personalities they love. I believe that this alone blows away already the current platform of smart.fm ." 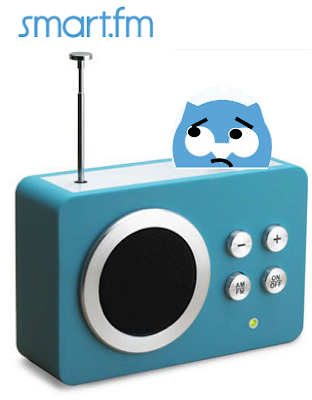 you have been telling me that such a service (putting subtitles on videos (songs, speech, movies scene)) will blow away smart.fm, at least from a bunkersofa perspective, for at least 6 months and now englishcentral has done it. congrats julianamonik for your prediction based on memetics, singularity and computation. The game is not over yet. You can use the opportunity to question your service and improve drastically. No seriously, it must be a strong stimulation for you guys. Also, I really think there is a big difference between the current "smart.fm" and "englishcentral"
In smart.fm, there are videos of steve jobs or Madonna. But you cannot hide English or Japanese, you cannot check the dictionary, and most importantly there is no indexation according to the part you wanna study. The hypothesis underlying smart.fm that says that 2) is the right question is incorrect. Really, I always get some nausea whenever I try smart.fm. Not because of the people behind the system. I have nothing wrong against them. We even have a strong common point with some of the team since we re going to the singularity summit in oct (NYC). I don't know the role of memorization in learning but my brain feels that s a way too much in smart.fm case. it's now official. cerego raised more than 23M USD since 2000 for smart.fm.